Affordable Evaluations has the skills and the expertise to provide the type of professional services that help you get back to work quickly after a refusal to take a drug test or as the result of a failed one. Working directly with employees from a variety of state-regulated industries, we work to get you re-established in your career, eliminating the confusion and frustrations that come after being suspended from your place of employment. Guiding you, step by step through the process, our DOT-certified SAP will work to help repair your record and your reputation. We use our industry-specific expertise to ensure that you meet the specific requirements and obligations needed to successfully return to work. Complete the SAP recommendations consisting of counseling, educational courses or treatment. Once you have successfully completed the SAP recommendations, you will return for a follow-up appointment to complete your program. Complete a return-to-duty/follow-up drug screen with your employer, approved drug testing service, or other governing agency. If you’re an employer or manager in need of an expert to help a valued employee return to work promptly while still meeting the requirements and stipulations set by your specific industry, we can help there, too. We understand that valued employees sometimes falter and simply need a second chance. Don’t let safety or productivity be affected by the personal issues of an employee. Our return-to-work program is meant to help businesses protect their bottom line while ensuring workers meet the strictest industry standards. Our substance abuse professionals adhere to the guidelines of DOT, DISA and NASAP. Find out more by contacting our Houston office. We promise confidentiality and courtesy in all that we do. If you’re out of work due to a failed or refused drug or alcohol test, you may be wondering why you were tested in the first place. In 1991, Congress passed the Omnibus Transportation Employee Testing Act. This act mandated that people who work in safety-sensitive positions in the transportation industry – such as pilots, truck drivers, bus drivers, etc. – be subject to drug and alcohol testing, and requires DOT agencies to perform such testing. The act aims to protect the safety of the public by ensuring that employees who work in positions that could be potentially hazardous are able to pass alcohol and drug tests. Whether you’ve been suspended from your job, need a drug evaluation as part of your probation agreement, or a company is requiring you to take part in an SAP-guided program as a condition of future employment, we can help. Utilizing our vast network of professional resources, we’ll help you make sure that you’ve successfully met your obligations on time and without issues. 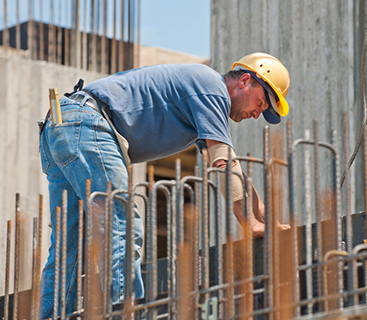 Many other industries also require drug and alcohol testing, including those whose job descriptions require performing duties that are potentially dangerous, such as welding, scaffolding, hydro-blasting, boilermaker, construction, lab technicians, fire/hole watch, and many other safety-sensitive professions. Industries who require testing can opt to test for a number of different reasons. If you’re a new hire or are being considered for access to a specific area of your job, you may be asked to complete a drug or alcohol test prior to starting work or being granted access. If an accident occurs or your supervisor is given reasonable suspicion that you may be intoxicated on the job, he or she may be required to test you. Employers can also conduct tests after you return to work from a previous incident or at random.